ISYS started as an Australian run software company specialising in enterprise search. With offices in Australia, the UK and the US, ISYS was market leader in its segment but closely followed by two of the world’s biggest software companies, Oracle and SAP. 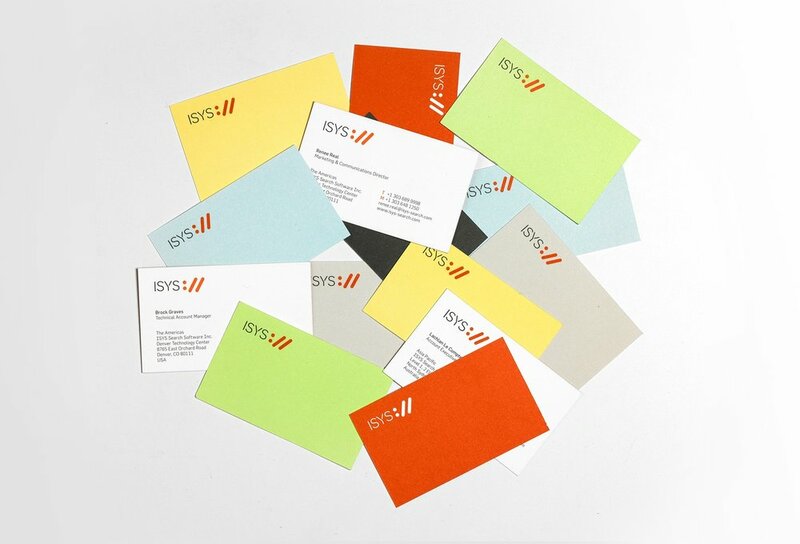 The task of the rebrand in 2011 was to create a coherent brand, which positioned ISYS as a strong professional player among its far bigger and more established competitors, while maintaining a slightly quirky and fun startup mentality. We developed the creative lead idea 'Search starts here' which is cleverly communicated through the ‘colon double slash’ prompt that also resembles an emoticon. The rebrand was so successful that sales soared and the company was acquired by Lexmark within one year of its introduction. It was merged with PerceptiveSoftware in early 2012, therefore the brand is no longer visible in the market.